I have not blogged for long time. There are so many things I want to share. School hunting, the pictures with my close friends, the everyday interesting and challenges with the children.. But I just don't have the mood to do anything. Epecially recently I find myself wandering alone on streets and crying myself to bed. 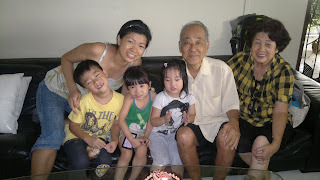 5 months ago, after my dad had the pacemaker operation, I told him " 爸爸,放了battery 你还是一条好汉!可以重 出江湖了!" We celebrated at nearby restaurant as his health improved . However this is only short term. 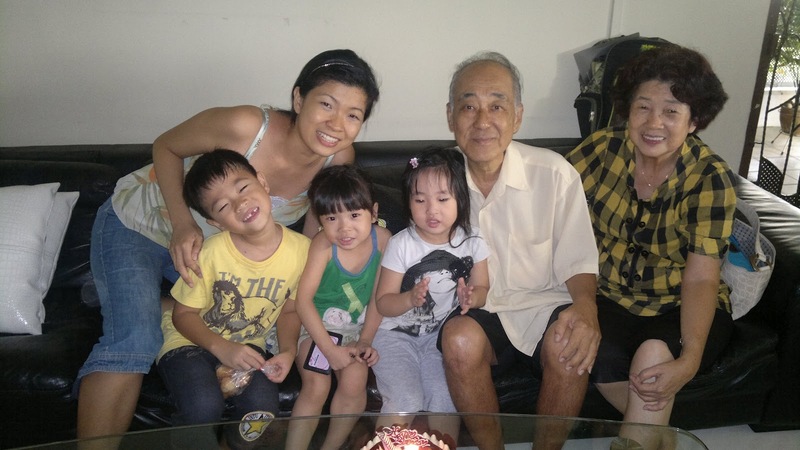 His health deteriorated as kidney starts to fail. The pain of losing 2 loved ones in a month is untolerable.First my dad,followed by my grandma. I used to have this fear when overseas. Fear of receiving bad news over the phone and fly back for the funeral. Fear of losing them. When I received the news, I started to blame myself for not spending enough time with them. For getting irritated by their slightest complaints, for not being understanding towards them. But deep down in my heart , I really love them a lot. I really wish to turn back the clock and treasure every moment with them. I really don't want them to go. An editor girlfriend informed that the article on LeLe was published in the latest magazine. My father will be so joyful if he knows that his favourite grandchild appears on overseas magazine. He never gets the chance to read the article as I never get the chance to share with him. I never get the chance to eat chicken rice with him at the market. 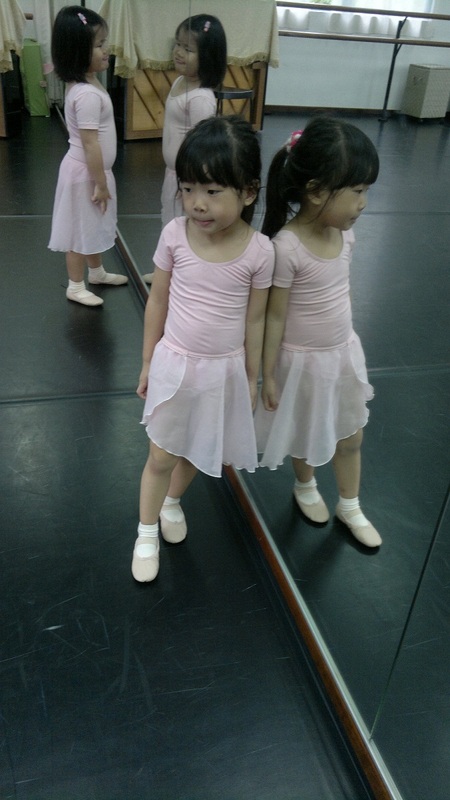 I never get the chance to hear him scold me '每次做事情blur blur ,,没有用!" I never get the chance to nag at him to eat his medicine regularly. I will never see him again and can only live with this regret. Treasure your loved ones when they are around. Once they are gone, you will deeply regret that you did not spend enough time with them. The feeling is really painful. 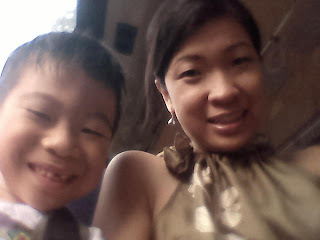 I have been having interesting conversation with lele , when fetching him from school on our bus ride. LeLe : "Mum, I want to be a fireman"
Me : "Ok, I thought you want to be bus driver. Now, a fireman?" LeLe: "Yes, because I like to play with water"
LeLe: "Mum, what do you want to be?" I was speechless. At my age as a full time housewife, do you think I still have this thing called 'ambition'? I just blurted out to him, without thinking. Me: "Err..I don't know. Nothing..I don't know what I want to be?" 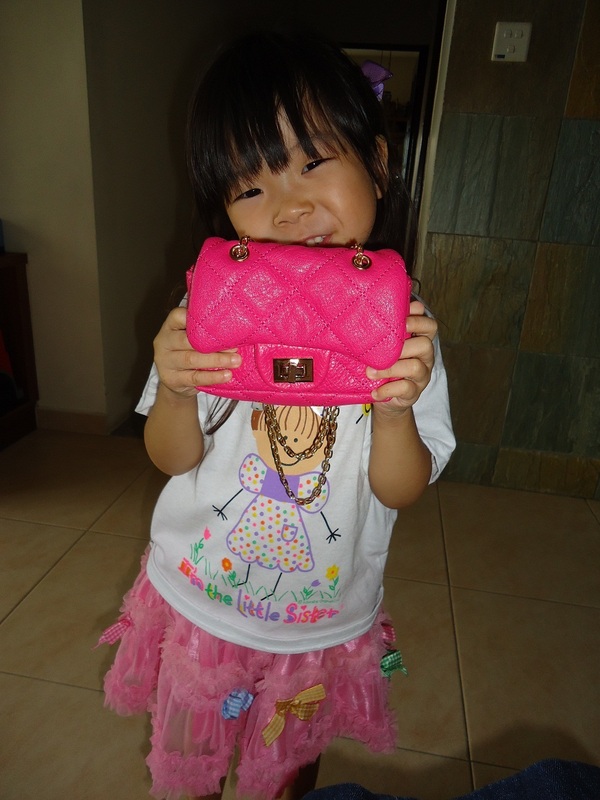 LeLe: "WHAT?! You don't know what you want to be?" Few days later, LeLe said to me,"Mum, I want to be NOTHING, JUST LIKE YOU!" Nothing beats having your family members celebrating the birthday together. I'm so glad I get the chance to celebrate his birthday and be with him during his operations days. 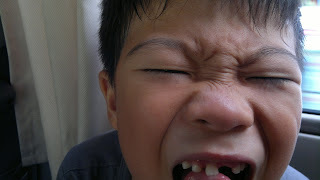 Lionel has been whining to me about his shaky tooth. He had already dropped his front tooth. I wondered how he is going to pronounce his 'F' when two are gone at the same time.. I just had an operations a few days ago. This had been bothering me for years, yet I never did a proper screening . Maybe because I fear of negative results. Maybe I'm not confident in the medical technology in BJ. Last month was the colon cancer awareness. I started to panic as I read of the similiar symptons. I went to a popular doctor. He told me they are just piles that cause constant bleeding,however a colonscopy was recommended for thorough screening. The results were out on the same day and I'm diagnosed to be healthy! Hooray!! Oh yah, the doctor actually took a video of the whole operations and passed me a dvd containg the video. Errr.do you think I will want to watch such video? ?